Roland JP-8000 Synthesizer Memory Damaged and Fixed! Back in 1998-1999 I purchased a second Roland JP-8000 and JP-8080 Combo at a used Music Shop called Ishibashi located in Yokohama, Japan. I still have both today and find them to be very fun to work with. I have also just about every commercial and non-commercial patch set available as I’ve been collecting everything I come across since then. It’s a great synthesizer and even as a new Roland SH-201 and SH-01 Gaia user, I still find the JP-8000 and JP-8080 a bit more useful for me. Plus it just has a fantastic sound for everything. Well today, while checking out a used music store in downtown Nagano-city, I found a used Roland JP-8000 sitting on the shelf that the clerk just got in the previous night. He had a price tag of $120 for it. I had to do a double take because I couldn’t believe the price. In my mind I was thinking “OK, What’s wrong with this JP-8000?”. I check the condition and it was near mint. All of the buttons, knobs, and sliders felt solid. The body was not scratched and did not have any blemishes. 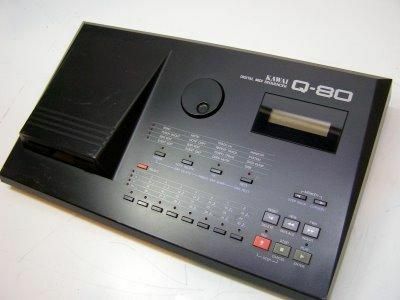 Along with the Roland JP-8000 there was the power cord, manuals, and special JP-8000 softcase that was issued with them when I bought mine in the 90’s. Everything “looked” great. So I asked the sales clerk if I could fire it up and give it a test run. He set me up with some headphones and I turned it on. Almost immediately I got a “Memory Damaged” message. I thought “Ah Ha!” That’s why he’s selling it cheap. He thinks it’s almost toast due to the memory message. I know this sales clerk and if it had said “Battery Low” he would have had a higher price. This was a new message and foreign to him. The JP-8000 then went into internal preset mode and I was able to play it even though there was memory damage. It sounded perfect! All of the original patches were there with some user ones garbled but understood that was because of the battery. I then Hmm’d and Haw’d finally saying “Ok, I’ll take it” knowing full well I just “MAY” have stumbled upon a gem. When I got home I spent some time carefully opening up the JP-8000 until I finally got to the battery. I replaced it with a new one and “presto” the memory damage message disappeared and everything was working as it should perfectly. Amazing! Now I have a second working Roland JP-8000, but I’m not sure what to do with it yet. I just knew that the price was incredible and if anything I could resell it and make some extra cash. I may however, opt to have my two daughters use it to learn more about synthesizers. They both play piano and recently my eldest daughter loves listening to the song “Pop Goes the World” by Men Without Hats. I figure the Roland JP-8000 would go well with that song and provide my daughters with some synthesizer fun. 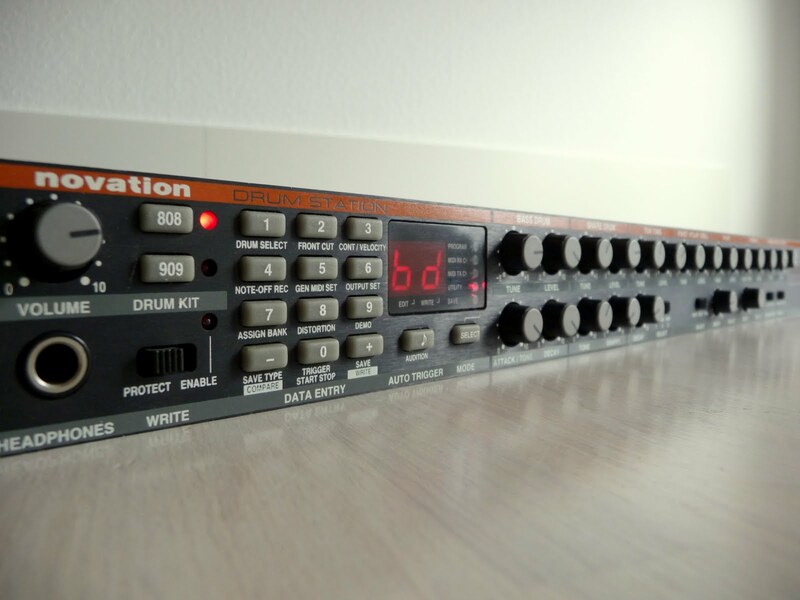 What I really like about the Roland JP-8000 besides the sound is the functionality. I find the ribbon controller, RPS, Sequencer, Split/Layer Keyboard, and of course all the knobs, sliders, and buttons to provide a treasure trove of live performance fun. The effects are decent, especially the chorus. 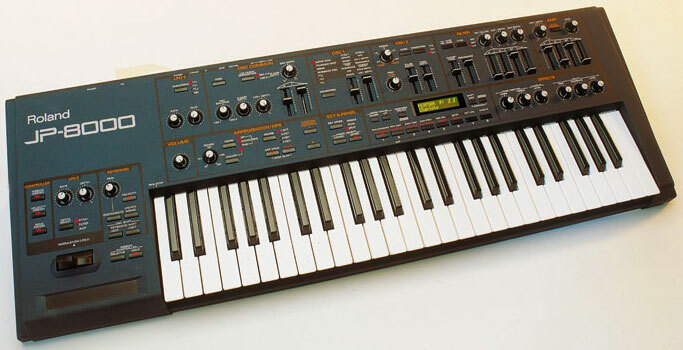 I know it’s digital and a VA synth, but I’ve always maintained that if I had a choice between the Roland SH-01 Gaia, SH-201, or JP-8000/8080 it would be the Roland JP-8000. I’m a performance player who prefers to do everything with my hands. To me the Roland JP-8000 allows me to do slightly more with actual playing than the other two. With the Roland JP-8000, I don’t need a computer hardly at all. It’s fun and of course all the synths I mentioned above are great but the Roland JP-8000 is just special to me. 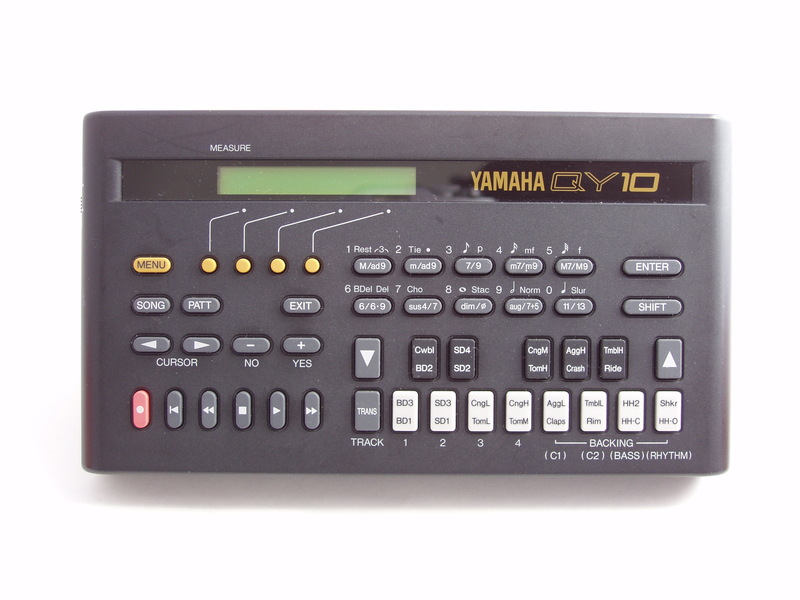 Today I picked up an old Yamaha QY-10 sequencer from the local used music shop for $10. The case is an actual VHS case which I thought was pretty cool. 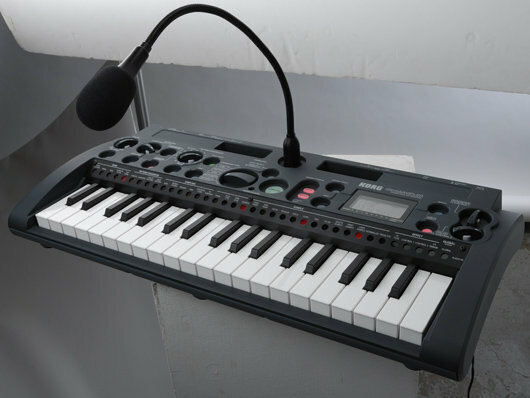 I bought the Yamaha QY-10 because it was very small, takes batteries, and was a nice cheap solution use along with the Roland Sh-01 Gaia. I also know Yamaha Sequencers rather well owning an RM1x and RS7000. Actually you can use it with any synth of course, but because the Roland SH-01 is portable, it works best for me with the SH-01. There are probably better solutions, but I thought the Yamaha QY-10 would be fun to try. It’s a pretty old sequencer, but it seems to do patterns and songs pretty well. It’s just something to plug into the Gaia on the road and work with. Kawai Q-80 Sequencer buy one get one free! Unbelievable! I went back to the store today where I recently purchased my Roland W-30 and Kawai K4r. I noticed in the junk area was a mint condition Kawai Q-80 which in my opinion is a great little sequencer. The price was $10 which included the Kawai Q-80, manual, and adapter. I went up to the counter to buy it and the guy told me he had another one he would give me since I was interested in the device. He told me I was a frequent customer so he would allow me to buy both for $5 each. Also the 32 tracks all have their own mute buttons (8 buttons across and 4 rows to toggle through). The beauty is that each track can be any length so no copying short sections out against other longer ones. 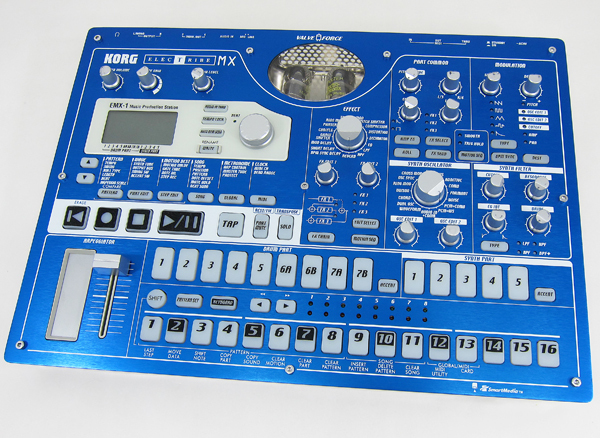 Plus it holds 10 songs worth of tracks in memory when you power it off and it has a floppy drive for backup which doesn’t need to be used in order to run the sequencer. With both units, the floppy drives work fantastic. Both sequencers were in mint condition without any sign of wear. Plus I got adapters for both along with manuals. The LCDs were in pristine condition and everything worked just great. Will I use these extensively? We’ll see, but with the price at $5 bucks each, I just couldn’t pass them up.